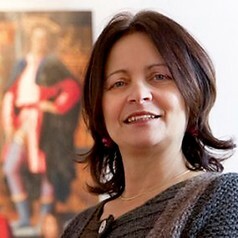 Nadia Urbinati is Kyriakos Tsakopoulos Professor of Political Theory at Columbia University and a political theorist who specialises in modern and contemporary political thought and the democratic and anti-democratic traditions. She is the winner of the 2008-9 Lenfest/Columbia Distinguished Faculty Award. In 2008 the President of the Italian Republic awarded Professor Urbinati the Commendatore della Repubblica (Commander of the Italian Republic) “for her contribution to the study of democracy and the diffusion of Italian liberal and democratic thought abroad.” She is the author of many books and in 2004 her book Mill on Democracy received the David and Elaine Spitz Prize as the best book in liberal and democratic theory published in 2002. Professor Urbinati is also an editorial contributor of the Italian newspaper La Repubblica and publishes articles in the culture section of the Italian newspaper I/ Sole24ore. Before coming to Columbia, Professor Urbinati served as visiting professor at New York University and the University of Pennsylvania, and as a lecturer at Princeton University.